COMSTOCK PARK, MI - Whitecaps fans need not worry about getting their radio fix this season. On the heels of the format change at WBBL 107.3 FM, the Whitecaps and Cumulus Radio announced that all Whitecaps games will be heard on a new home in 2019. The Whitecaps live game broadcast will remain within the Cumulus family on the newly-launched "The Ticket" West Michigan's Sports Radio Network and will be simulcast on four simulcast stations: 106.1 FM and 1340 AM in Grand Rapids, and 99.1 FM and 1490 AM in Muskegon. Several games will again be available throughout West Michigan on the Whitecaps Radio Network. Network stations and games will be announced in the spring. Dan Hasty will return as the voice of the Whitecaps, handling radio play-by-play, and will once again be joined in the broadcast booth by Mike Coleman, who will provide color commentary on all home games and select road games. "It's great to join The Ticket on their new stations, and it's tremendous to be back with our friends at Cumulus," Hasty said. "We have a great partnership that's been built on the many years we've worked together. We're excited to welcome several new radio affiliates to the Whitecaps Baseball Network." WBBL 107.3 FM had been the home of the Whitecaps radio broadcast since 2004. The Whitecaps open their 26th season on Thursday, April 4 at 7:05 p.m. at the South Bend Cubs. The home opener is set for Saturday, April 6 at 4 p.m. against the Cubs. Season and group tickets are now on sale; 4-Topps tickets go on sale February 19th, and individual tickets to all games go on sale February 26th. 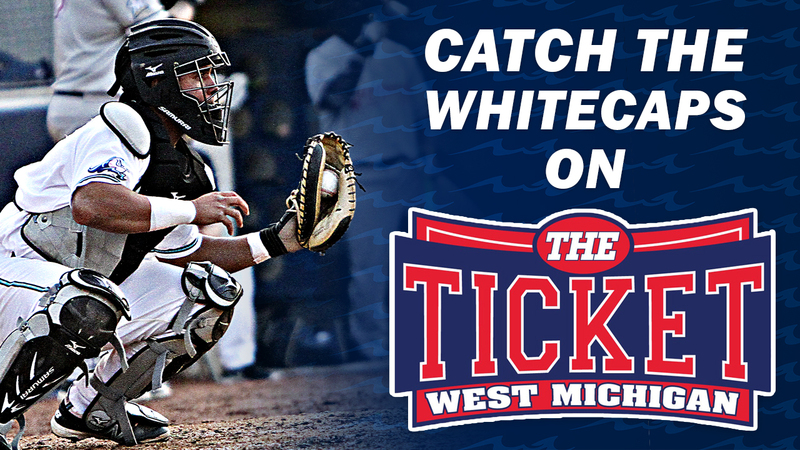 Complete ticket information, including season and group ticket prices and perks, is available at www.whitecapsbaseball.com.